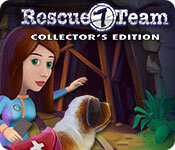 Rescue Team 7 Collector's Edition is rated 4.7 out of 5 by 25. Rated 5 out of 5 by Bumbles2 from Beautifully done...great job !!! I really enjoyed this game...from start to finish !!! I can honestly say this is the best of the entire series !!! I had a wonderful fun time playing this and I hope they produce more of this great series. The music was not the type that you have to turn down...it was pleasant and fit with the theme of the game. The graphics are great and very well done...as always !!! There definitely was a challenging level or two...but with a little bit of thought and strategy it's doable !!! I don't have a bad thing to say about this release...just try the demo and you'll see for yourself...how well done it is !!! Enjoy your adventure with this one folks !!! 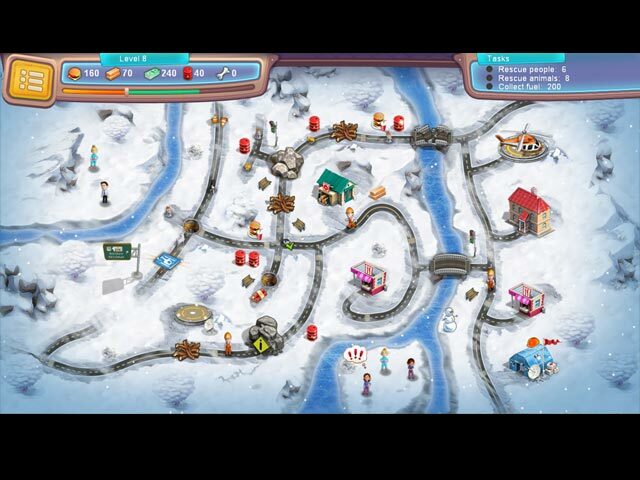 Rated 5 out of 5 by Kirland from Excellent Time Management Game! Rescue Team TM games are great. They never get boring for me. I like that since it is a rescue based game, the developer's have a wide variety of natural diasters to choose from as well as the team could go anywhere in the world to assist and bring aid to those who are stranded and hurt. Keep it coming. I thought maybe Ron would follow Carrie to Canada and we would have new scenes in a different country with some of Canadian Mounted Police. Would be a change. Earthquakes and Tsunamis. Could be exciting. Waiting for the next one. Rated 5 out of 5 by warp35 from great as usual I really enjoyed this game, I have played them all and this one here matches the quality of the previous games. A must buy. 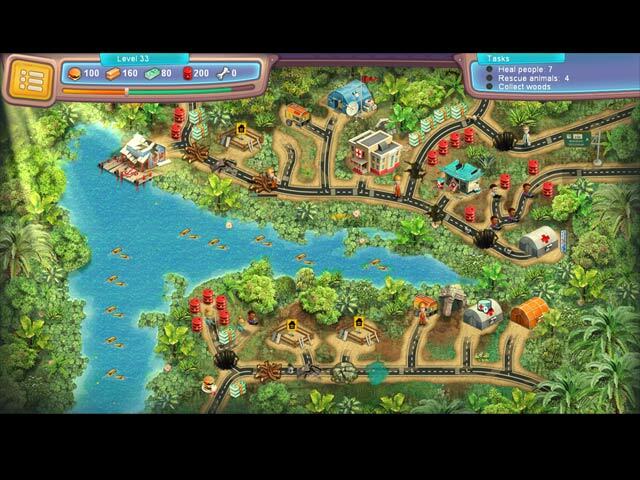 Rated 5 out of 5 by keegan12 from Great This is the best Rescue Team game yet. It had a good story line and the challenges were a lot of fun. This was great fun. Rated 5 out of 5 by connieanddan from Now you've got it right! What a pleasure to play this game compared with 5 and 6. Just enough challenge to make it interesting without reducing one to tears. Levels 5 and 6 had those tedious and nerve racking fires which were nearly impossible to complete. No fun at all. The thermometers were too challenging in those levels, also. The fires and the thermometers in 7 were just enough. I also really liked the mazes in the mines. This one is a keeper. Keep them coming. 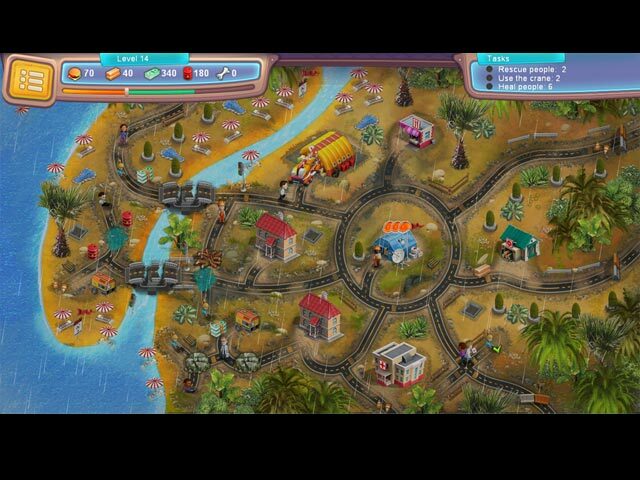 Rated 5 out of 5 by culvery from excellent and fun game I thoroughly enjoyed playing this game. Rated 5 out of 5 by ssakcriska from Best edition of this game! I found this edition of the game to be the best one yet! I found some of the other editions not as user friendly. Resources not so difficult to build or get to that you give up. A shop is available to increase your abilities and two other side areas to build. I didn't see that they were connected to the game but...! Enjoy hours of entertainment! Rated 5 out of 5 by franzi501 from Thank you for this game! I'm always very happy about good, fun new time management games. I bought and played all Rescue Team games and was delighted to find out there's a new one. Great graphics, fun levels, I'm not disappointed by part 7, keep them coming!